Ben Coffin has never felt like he fits in. A former foster kid, he keeps his head down at school to avoid bullies and spends his afternoons reading scifi books at the library. 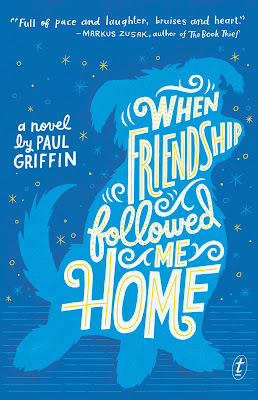 But all that changes when he finds a scruffy abandoned dog named Flip and befriends the librarian’s daughter, Halley. For the first time, Ben starts to feel like he belongs in his own life. Then everything changes, and suddenly Ben is more alone than ever. But with a little help from Halley’s magician father, Ben discovers his place in the world and learns to see his own magic through others’ eyes. 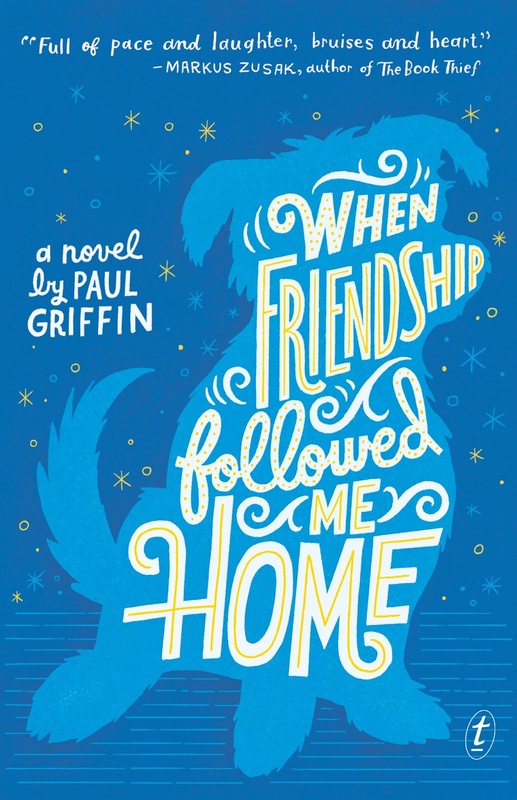 Equal parts heartbreaking and heartwarming, When Friendship Followed Me Home is a must read for dog lovers and fans of emotionally resonant middle grade novels. Abandoned as a baby and raised within an orphanage until adopted by the free spirited, larger than life Tess, a woman who has become the only mother he's ever known. Twelve year old Ben and his mother are planning on moving to Florida after her retirement, Ben figuring it's useless to make friends since he'll be gone soon enough. But Ben hadn't realised how lonely he'd become until a stray little dog follows him home from school. The newly named Flip seems to have been abandoned and in need of a loving home. The boy and his new best friend are inseparable, a bond formed between the two and giving one another a friendship that neither had known existed. Along with his friendly librarian Mrs Lorentz and her daughter Halley like the comet, Ben begins to believe that he's finally found a place in the world, then tragedy strikes. Ben's world is about to come crashing down and both Ben and Flip will need to learn how to live life again once more. When Friendship Followed Me Home is an incredibly poignant yet beautiful middle grade read that proves even in the darkest moments throughout our lives, someone is always willing to leave the light on. From the first instance readers are introduced to Ben, you can feel how remarkable this young man is. He's only twelve, but such an old soul who now feels a sense of family thanks to Tess, a kindhearted speech therapist who adopted Ben two years prior. Their relationship was breathtakingly beautiful, so when their cosy little family of two soon became three, I was so emotionally overwhelmed and placed my faith in that When Friendship Followed Me Home wouldn't destroy me. But it did, and I loved each and every moment. Ben is compassionate and sensitive young man who not only is the target of an aggressive school bully, but is hesitant to form friendships as he and Tess plan to move to Florida shortly. So Ben spends his free time nestled within bookshelves at the library with Mrs Lorentz to keep him company. It's there where he discovers Halley her daughter, a girl with a bright personality, warm and wonderfully written, who is determined to fight her diagnosis. The newly named Flip was a pure delight. A small, neglected dog who desperately deserved a forever home. Flip is cared for, loved and soon becomes apparent that Ben has become his world while charming everyone within his orbit. With his intellect and wonderful nature, Ben begins training Flip as an assistance dog for a children's reading program, in which children read to the loving little dog without judgement and building their confidence. Then Ben's world is torn apart. My heart ached and found myself distraught on Ben's behalf. I was so deeply invested in his character, that on several occasions I could barely read through my tears. The one constant throughout the book is Flip, Ben and his friendship with Halley, who are writing a fantastical novella together to cherish all the people who are in their lives and inspired by her librarian mother and father, who is a magician and illusionist. As charming and enchanting as When Friendship Followed Me Home is, it's also absolutely heartbreaking and one of the most poignant reads you'll ever have the pleasure of experiencing. It's utterly lovely, yet explores issues of abandonment, domestic violence, homelessness, illness, grief and socioeconomic diversity. It was utterly beautiful and has stayed with me long after the final page was turned. This sounds like a nice read! I do love dogs. :) Thanks for sharing - I hadn't heard of this one. I'm glad you felt it was impactful. Me too Lauren. It was so wonderfully heartwarming, I adored it immensely. Books about animals always freak me out, because I can't deal with them dying (too sad!!). The same always goes for movies. I don't think I'd ever pick this up unless someone spoiled it for me! I said exactly the same thing Ali. I actually emailed the lovely publicist at Text Publishing and asked about Flip, have also added a spoiler under the clickable button above as well. I think we need a site for books similar to does the dog die, which is a database of movies with dogs in them. It's such a big trigger point for readers, myself included. From that cover and title I could sense that this book will crush my heart haha! I kind of terrified of reading/watching anything that has dogs in it after watching Hachiko. I never cried that much in my life. I hadn't heard this one before, and while I'm afraid, your review makes me really curious. It sounds really beautiful and poignant, and while it makes me cry, maybe it will be a new favorite :) Lovely review, Kelly! It was truly beautiful Tasya and although it's incredibly emotional, it's not a profound sadness. I think you'll adore this one too. I'd love to see what you think of it. This sounds absolutely lovely, Kelly. My heart is already breaking for Ben a little. I'm glad that he has Trip by his side. It seems like one of those simple and straightforward book, that packs one heck of a punch. I totally clicked that spoiler because I HAD to know! He's had such a hard life for a boy so young, and sadly it's about to get worse. But it's such a beautifully written and poignant read Nick, one of my favourite books this year. I hope readers will pick it up and take a chance, it's phenomenal. Ah, I'm so intrigued about what tore Ben's life apart! I don't read much Middle Grade but you describe it as heartbreaking so I'm very interested how sad this book can be (though, most books with dogs are quite sad *sigh*). I think it could be described as middle grade / young YA Jess, but it was just so lovely and emotional. That's something I rarely feel when reading YA. It's beautiful and I can't wait for others to experience it too. I immediately added this book to my list as soon as you put up your review on Goodreads. You are so bad for me. Welp. But I can't resist this one. Everything about it sounds so good. It's wonderful Joy, one of those books that I feel completely in love with and still think about that little boy and his scruffy friend both needing their forever home. I'm urging everyone to read it. It's beautiful. IS DOG OKAY? I am about to read that spoilerrrrrr. I had to email the publicist and asked to be spoiled in regards to Flip's storyline. You need this book in your life. I already want to reread it. I can definitely see how this one emotionally affected you Kelly, which is a testament to the book. I'm glad there's quite a lot of MG books which deal with these hard hitting topics. Lovely review!